For years, it was the dominant home entertainment format on planet earth. It successfully fended off attacks from competing technologies such as Betamax and Laserdisc and even kept its foothold on the market as DVDs rose to prominence. Now, VHS tapes may finally have seen their last sunrise as Funai Electric Co., the Japanese electronics maker, has said that it is officially stopping production on the world’s last recorder for videocassette tapes. 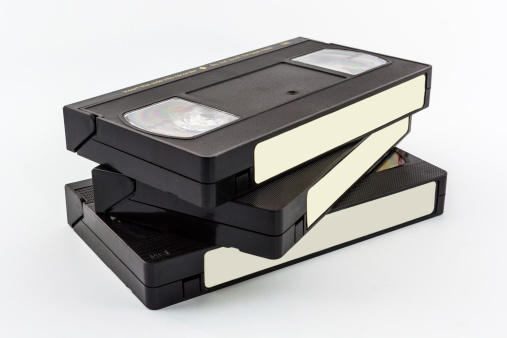 A spokesman for Funai that discussed the current situation with the press on the condition of anonymity said that production of the company’s last videocassette recorder would end sometime before the end of July 2016. Surprisingly, the spokesman indicated there was still enough of a demand for the unit from customers to continue on with its production indefinitely, the company literally cannot do so. Key component makers are pulling out of the market altogether because of the limited numbers these units sell in each year. Those people in Japan in particular who wish to continue using their VHS tapes can do so via combination VHS/DVD converters, which is a single device that combines the functionality of both a DVD player and a traditional VCR. These units are still widely available in Japan and can be found in select locations in other countries, including the United States. Funai also indicated that they plan on rolling out a few combo units of their own in the next few months. The factory in China that Funai previously used to manufacture its VCR is actually off-limits to the press entirely. This is not necessarily because of the VCR itself, but because of the many other products that are made there, many of which are still top secret. In 2015 alone, Funai made more than 750,000 VCRs that played VCS tapes, recorded to them or both. This is a far cry from the heyday of the market’s popularity, when in the year 2000 alone, the company made 15 million of the units. At one point, more than 70 percent of the market in the United States for VCRs came from Funai and its Chinese factory. Funai has indicated that even though production is stopping at the end of the month, this does not mean that the machines themselves will become immediately unavailable. Funai has a large factory of unsold units that it will continue to sell off through its various subsidiaries until the time when that stock runs out completely. Those people who wish to preserve the home videos and other content that they’ve created over the years can do so by buying VHS/DVD recorder player combination units, or by transferring those analog VHS tapes to a digital format via compatible hardware and software. Many people believe that the downfall of VHS can be directly attributed to the rise in popularity of the DVD format, though this only tells part of a much larger story. Though DVD was the opening shot across the bow of VHS, the ease and convenience of digital technology and streaming formats actually acted as the final nail in the proverbial coffin of a device once enjoyed by millions of people around the globe.